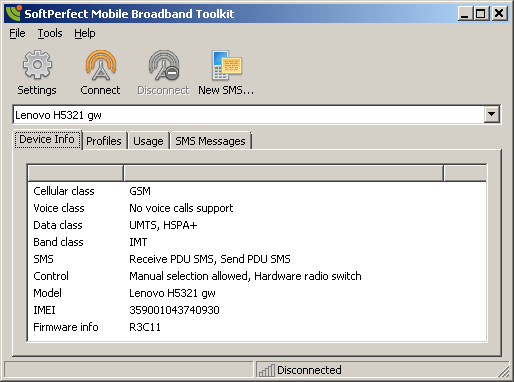 SoftPerfect Mobile Broadband Toolkit offers several features described in this brief manual. The Device Info tab shows the functionality and system information of your modem. The Profiles tab features a list of configured access profiles and their parameters. The Usage tab displays download and upload statistics. 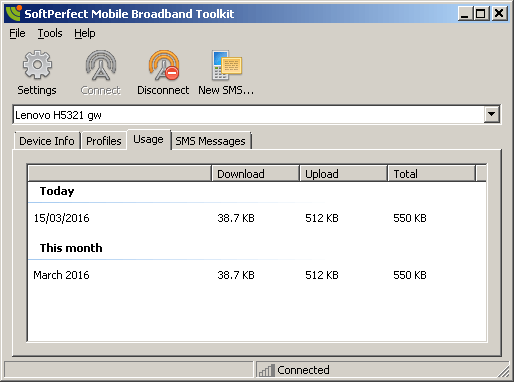 The SMS Messages tab allows you to send and manage text messages. 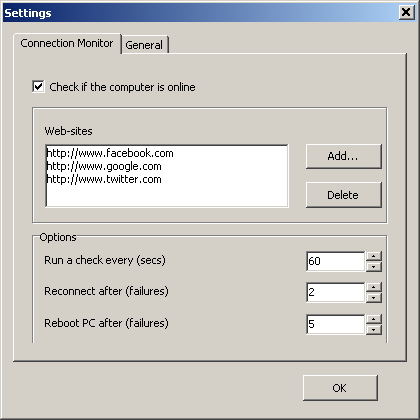 If you choose to reboot the computer after a few failures, your system should to be configured to login automatically, with the Mobile Broadband Toolkit set to start with Windows. This may be useful when, for example, the computer is left unattended. If you want to turn off one of the actions, set the failure count to zero. This feature displays how much data you have downloaded and uploaded within the day and the month. The reporting is instant and allows you to mind the data traffic, stay within limits and avoid excess charges. 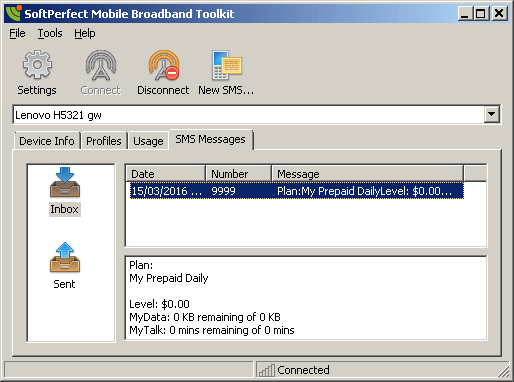 The SMS Messages tab displays your received and sent text messages. You can send a short, long or Unicode text message to any mobile number. It will be sent from the number allocated to your SIM card and the recipient can respond to it. Charges may apply, depending on your provider and connection plan. There is no need to be connected to the broadband service to send or receive messages. In fact, some modems may not be able to send or receive text messages while being connected. In this case any sent messages are queued and delivered when possible. This software is FREEWARE. Permission is hereby granted to anyone to install, use, copy, publish, and distribute copies of this software free of charge, provided that the original software is not modified in any way.